If you’re an aspiring or published author of women’s fiction – or any fiction – hanging out on Facebook or Twitter, I bet you know our guest today. Erika Liodice is knowledgeable and generous and personable — and she started her own company, Dreamspire Press, to first publish her own work and then to publish the work of others. I feel strongly about focusing on traditionally published women’s fiction here on WFW, but Erika’s story is one that’s both relatable and admirable, even if you have found, or seek, a different path to publication. 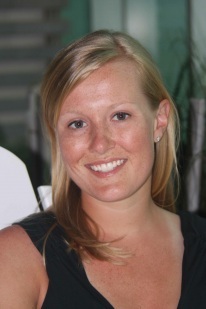 Please welcome Erika to Women’s Fiction Writers! ASN: Your novel, Empty Arms, is about a woman who was forced to give up her baby for adoption when she was a teenager. How did you get the idea? EL: The idea for Empty Arms was inspired by a story that my Nana told me over dinner four years ago. She had discovered that her friend’s daughter had given birth to a baby girl when she was just sixteen years old. In order to protect her family’s reputation, she was sent to live at a maternity home until she delivered the baby. Once the baby was born, she was forced to place her for adoption and forbidden to see her ever again. Everyone told her that she would forget about the baby and eventually get married and have more children. But she never forgot her daughter. And it wasn’t until years later that she learned that she was infertile and couldn’t have any more children. The cruel irony of this story stayed with me for quite some time. Curious about maternity homes and the heartless concept of “forced” adoptions, I started doing some research. I was shocked to learn that my Nana’s friend wasn’t alone. In fact, between the 1940s-1970s, four million women in the U.S. went through similar experiences. I was horrified as I read countless stories of girls who were banished from their communities, physically and mentally abused by their caretakers, and bullied by social workers in order to convince them to give up their babies. The more I learned, the more my interest (and outrage) grew, and eventually the idea for Empty Arms was born. ASN: As we learn along the way, publishing a book is different from writing a book. So now that we know how your book got published, how did you write it? Did you outline? Fly by the seat of your pants? Did you have a critique partner or writing group? EL: With my first novel (which remains unpublished), I was a quintessential “panster”, writing as the words and inspiration came to me. And while it was great to dive right into the writing, it resulted in a tremendous amount of rewriting on the back end. Not to mention, that book never saw the light of day. When I started working on Empty Arms, I wanted to be more efficient with my limited time, so I began with an outline. Having this road map was invaluable. Every time I sat down to write I knew where I was going and what I needed to accomplish. It really helped me maximize the two hour writing sessions I was able to sneak in before heading off to work each morning. I don’t currently have a critique partner or a writing group, though I’ve tried (and failed) to find both. I hope to one day find that special group or person that I “click” with, but until then I’ll continue to rely on the camaraderie and resources that I find over at the online writing community, Writer Unboxed. ASN: What’s next for Erika Liodice? Lots of things! I recently started researching my next novel, which I’m really excited about. Like Empty Arms, it will be a work of “social impact fiction”…but that’s all I can say for now. It’s funny, this book is being born backwards; that is, I already know the title and I can see the book cover in my mind…now I just need to figure out the story! In addition to that, I’ll continue writing my motivational blog, Beyond the Gray, where I share my journey to publication and encourage readers to reach for their own dreams. This has been my passion project for the last three years because I’ve found that there are so many smart, capable people who are unhappy and unfulfilled by their jobs but are too afraid to go after what they really want. I can relate to those people because I’ve been one of them. My goal is to help those people identify, acknowledge, and nurture their dreams so they can move beyond the gray into an inspired life. A life that is bursting with color. And last not but not least, I’ll be working on growing Dreamspire Press and hopefully adding some new authors and titles in the near future. All in all, it’s shaping up to be an exciting year! ASN: How would you define women’s fiction? EL: Women’s Fiction is…for women by women about topics that stir our souls in a way that other fiction can’t. EL: Never stop growing. I make it a point to attend writing classes, webinars, and conferences and to read a slew of craft books every year to ensure that I keep learning and refining my skills. Unlike other jobs, we writers don’t have bosses forcing us to attend professional development seminars, so the motivation to become a better writer must come from within. Hold yourself accountable to attend at least one writing event each year. You’ll be surprised at how much valuable information you come away with. I’m donating 10% of Empty Arms‘ proceeds to Save the Children, because at the heart of every adoption story is a child. Sadly, there are millions of children around the world who don’t have a family to love them, clothes to keep them warm, food to nourish their growing bodies, a safe place to sleep, medicine to keep them healthy, or a decent education so they can thrive in this world. I’m proud to be supporting this fine charity through the sales of my novel. Together we can help save the children. Erika Liodice is an award-winning blogger and author of the novel, Empty Arms (Dreamspire). She is the founder of the inspirational blog, Beyond the Gray, where she shares her journey to publication while encouraging readers to reach for their own dreams. She is a contributor to Writer Unboxed, The Savvy Explorer, and Lehigh Valley InSite. You can visit her at http://www.ErikaLiodice.com or follow her on Twitter: @erikaliodice. Dreamspire Press is a Pennsylvania-based independent press dedicated to publishing fiction and creative nonfiction by emerging authors. Yay…I love my fans!! Nice to meet you, Sam! As a clinician in the late 60s I trained in a metropolitan hospital that provided an upscale home for girls during their last six months of pregnancy. Girls were shuttled to the opposite coast (NY girls to California and vice versa) to preserve stories they were “away at school.” These “fortunate” girls had the most beautiful little maternity outfits and had a special “dorm wing” off the contemporary hospital. We worked with these girls and yes, there could be much drama following birth when some pleaded to see their infants. The rule of the times was: “it was best” for a girl not to interact with her infant in any way. “Empty Arms” sounds like a great story! Great interview! Thanks. WOW…that’s so fascinating, Nancy. I’m intrigued that your work brought you face to face with this topic. It never ceases to amaze me how many people were touched in one way or another by this social phenomenon. Thanks for sharing that with me! I’ve often thought of writing about my paternal grandmother, who was pregnant and kept her child – something near un-heard of during those times! My father was illigitimate and I don’t think he ever really accepted that. But, now that I am grown and older – I see how interesting my grandmother’s life was, how she did what she wanted to do and because of that lost a lot of family who disowned her. I am adopted, but I was adopted by my stepmother – still, without her, I don’t know where my brothers and I would have ended up – adoptive parents are wonderful! So what a beautiful thing to have proceeds go towards Save the Children. Good journies with your work! Thanks for sharing how adoption has touched (and benefitted) your life. One thing I tried to do with EMPTY ARMS was look at adoption from all different angles because as you pointed out, each person’s experience with it is unique. That’s fascinating that your grandmother was able to keep her child. You’re right, that’s very rare for someone of her generation. She’s very lucky! Erika, thank you for sharing so much about your novel and the heart and soul that went into its journey to publication. I have now added EMPTY ARMS to my TBR pile and commend you for your kindness and generosity in donating some of your proceeds–as well as your courage to write about a subject that impacted (and devastated) so many. 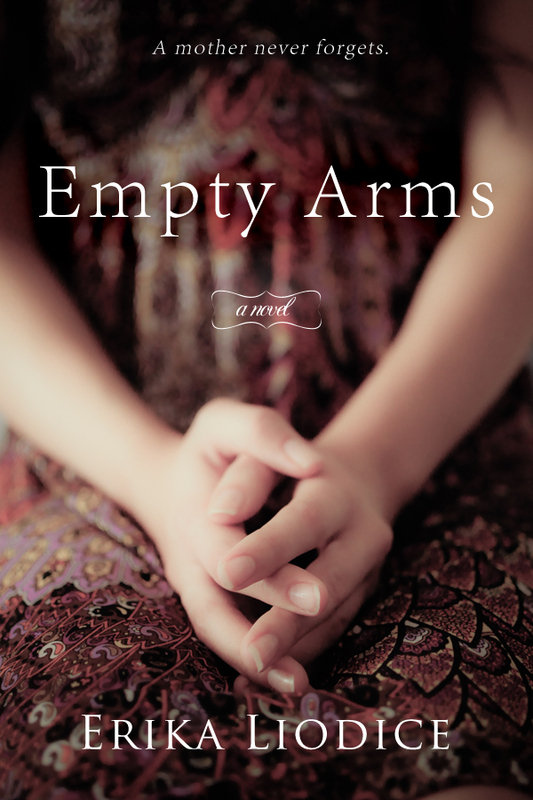 Second of all, thanks so much for adding EMPTY ARMS to your TBR pile! Please be sure to shoot me a message and let me know what you think. Great, inspirational post! Thank you! Going to check out Erika’s site and books now! Thanks, April! I look forward to seeing you over on my blog. P.S. – I just followed you on Twitter. Lovely interview. I saw Erika’s book reviewed over at Reader Unboxed, I believe (or maybe it WAS WU)… at any rate, the novel – and Erika, YOUR story to publication – both moved me. I love your definition of women’s fiction — that it stirs us emotionally in a way other fiction cannot. Yes! Best of luck with your backwards-born baby ;-). PS I was born in raised in PA, too. It’s always nice to hear from a fellow Pennsylvanian…where did you grow up? Do you still live in PA? Thank you Erika and Amy for this interview. Now because of the interview I want to read EMPTY ARMS. I was teenager during the time when girls my age suddenly away from home for months with little or no explanation. One friend did confide in me and her hurt was so deep and remained so. Another friend just blocked it out because she couldn’t face that her baby was out in the world without her. Till now I’ve not read anything on this subject. Thank you for putting this story out there for all of us. I know not all the endings were happy ones. Thanks for sharing your experience! During my research I met so many women who talked about the hurt and anguish that they had to live with. Hearing their pain made me even more passionate about writing this book. To my knowledge there are not many *novels* about this topic. I really hope you enjoy the book! Lovely warm post about such a touching subject. My aunt kept the son she had decided to give up for adoption, when a new nurse brought the baby to her. He was such a beautiful boy! Good luck with Dreamspire Press! Thanks, Catherine. This subject never ceases to send chills down my spine. Wow….wounds like your aunt experienced a very lucky twist of fate!